Spring is definitely the season of ruffles! You have probably been seeing them everywhere- tops, dresses, bathing suits.. And I can't get enough! This top has a very feminine feel and is perfect for the warmer weather that spring brings! Also have you seen Baublebar's collaboration with Target?! They have some of THE cutest jewelry, at such a great price! These earrings are a part of the collab and I love them! Okay, full disclosure here. I love ruffles... on other people. It's just not a look that is good for me. You look super cute. I do love the color of this top. I love the color and style of this top! So pretty! I'm in love with that gorgeous top! I think I need it! 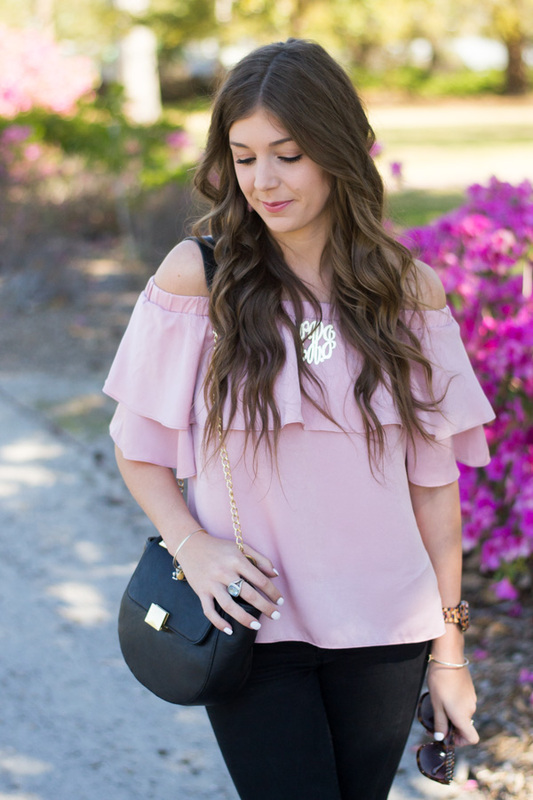 That OTS top is too cute, love the ruffle detail! That top is so flirty and feminine! Love the bag too! Such a cute top. 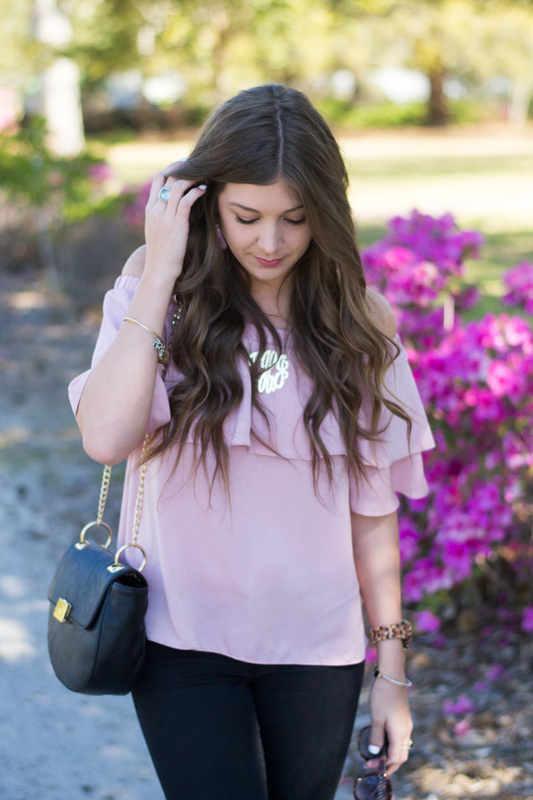 Love this color pink paired with black! You know I'm a sucker for OTS tops! This one is adorable. Love how you styled this, Kelsey! Love that top and those shoes are to die for! Love the top and the necklace. Really pretty on you! This outfit is so so pretty and I love your accessories! Great look girlfriend! I love the ruffles and that pretty pink color! SO cute <3 And definitely something perfect for a fun spring date night. 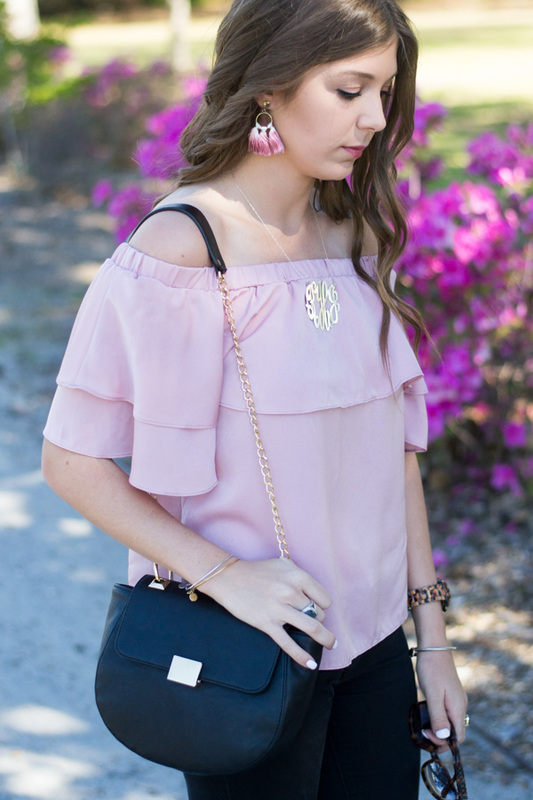 Loving all things off the shoulder and ruffled this Spring! And that color is gorgeous! Super cute top. Yes, loving the ruffles this season. 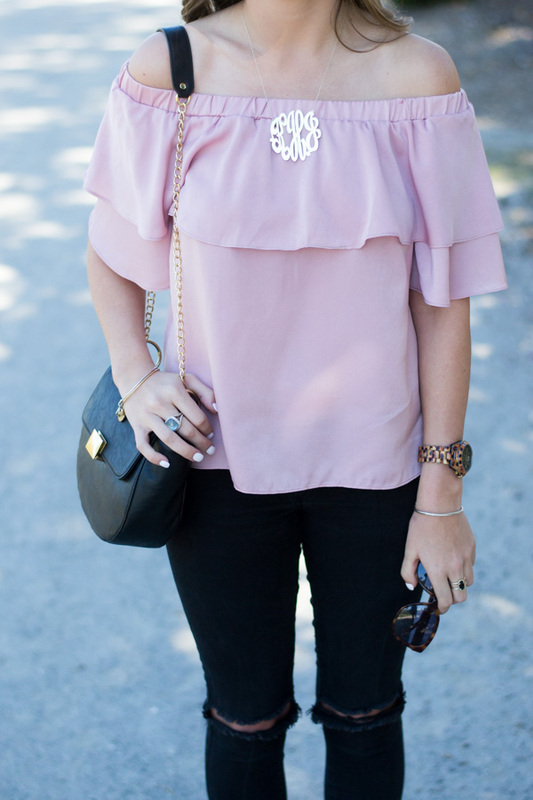 such a pretty pink top, love the ruffles! Such a cute spring outfit! Love the pink and ruffles! 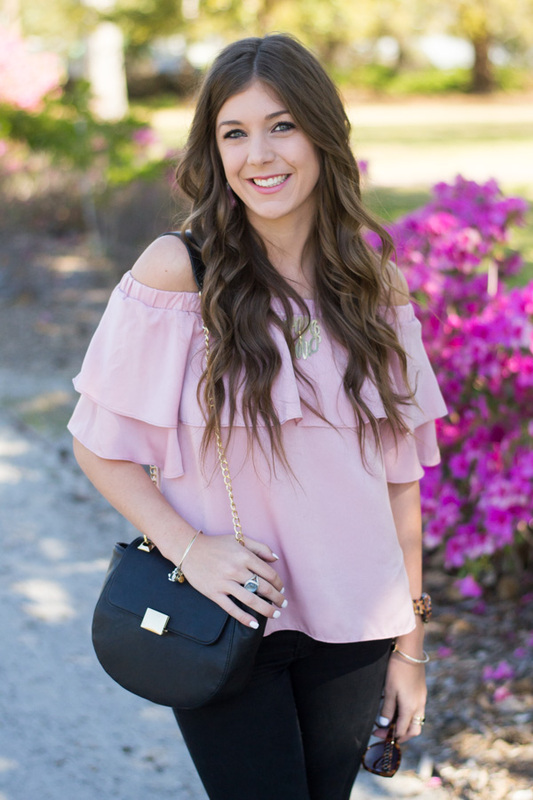 Nothing quite like a good pink and ruffle combo top to make a gal smile!! This one is so pretty on you and it pairs soooo perfectly with those earrings! So much love! Such a cute top! I love that you paired it with black denim! So pretty in pink! Love this adorable off the shoulder top! Last night I was searching for the latest tops and then I found this article you are showing really great stuffs and pink is always be the favourite color of girls and it suits them, that's the reason all your collections are awesome.